Everyone needs to know about contracts, if you’re reading this you have probably entered into numerous agreements giving away rights you didn’t know you had. I want to help educate the public about contract law and what you need to know to protect yourself. This guide is not meant to replace a lawyer, if you are in serious contractual negotiation, you should always consult a lawyer: Sure you might spend $200-$5000, but it could save you $5000-millions of dollars. If you have any questions please call or email me. Is it a contract or agreement? Contract and Agreement are two terms which are commonly used interchangeably by many people, who don’t understand the significant difference between the two. Though as a figure of speech it doesn’t makes much of a difference in normal life but mistaking one for the other can prove costly, especially when it comes to monetary affairs. People with dubious intentions have been known to exploit to their advantage the ignorance of common people in confusing one term for the other. That’s why it is so very important to understand both the terms as well as to always consult a qualified attorney before signing anything important. Agreement is a very generic term. When two or more parties have a mutual understanding between them about their relative rights and responsibilities, it is called an Agreement. The meeting of minds at a certain point is how most institutions define an agreement. An agreement can be on anything, from business views to domestic views. In an agreement, the parties define the terms and condition of the agreement by themselves. A contract can be defined as a legally binding agreement between parties which creates obligations that are enforceable. Though it can be said that every contract is basically a legal agreement, not all legal agreements are contracts. A legal agreement must fulfill certain conditions, which make it enforceable, so that it can be termed as a valid contract. Offer & Acceptance – An agreement must contain an offer made by a party and the acceptance of that offer by another party, or a counter by the other party in case it doesn’t accepts the original offer. Mutual Consent – Both parties must be on the same page when it comes to the terms and condition and get into the agreement on their free will, without being forced into it. Consideration – Anything of value that is exchanged between the parties is called as ‘consideration’. Consideration can be goods, service, promises, act or money. In order to be a valid contract, an agreement must include ‘consideration’. Legal purpose – The agreement shall be made only for legal purposes. One cannot contract for activities which are illegal or impossible. Capacity/Competence – To enter a contract, all the parties must be of ‘sound mind’ i.e. the parties must not be minors (for most contracts), must not be under influence of any substance and must not be mentally deficient. Can contracts be oral? What is the “statute of frauds”? Barring a few exceptions both verbal and written agreements are considered contract in Florida if they fulfill the above mentioned criteria which make them binding and legally enforceable. Apart from those contacts which are specifically required under Florid law to be in writing, oral contracts, especially those in which a party fulfills its obligation(s) are enforceable in Florida. Though oral contract are enforceable, their details are fairly hard to prove in a court of law when compared to a written contract. That’s why it’s always advised to have a written contract instead of an oral one. Certain written contracts in Florida are required to include the agreement between parties on specific issues. Even otherwise, a written contract must specify the terms and conditions of the agreement between two parties in great detail, so that there is little room for disputes to arise. One would have encountered terms like ‘liquidated damages’, ‘consequential damages’, ‘court costs’ etc. while going through a contract. Most of the people while getting into a contract don’t pay much importance to these ‘legal’ terms, only when it’s too late and a breach of contract occurs that an individual realizes the kind of limitations they place and their consequences. Most of the ‘business’ contracts drafted nowadays contain limitations. The limitations can be for different things like limiting the amount of damages that an injured party can seek if a breach of contract occurs, limiting the jurisdiction to a specific court/ county in which a lawsuit can be filed if a breach occurs, limiting a party’s right to recover lawyers fee and other associated litigation cost when a dispute arises etc. It’s very important that before signing or drafting a contract one consults a lawyer to understand or specify the terms and conditions in the contract. Clauses regarding consequential, special or liquidated damages must be thoroughly understood BEFORE getting into a contract as they may severely limit your right to seek adequate damages (compensation), in case the other party breaches the contract. Cancelling a contract comes with its own set of difficulties. While most contracts can be cancelled if the parties involved give their consent for cancellation, some contracts come with ‘right of rescission’ which gives a party the right to cancel a contract, subject to certain procedures or conditions. If a contract contains the right to recession, one has to follow the exact guideline, timeframe and procedures mentioned in the contract regarding cancellation. In such cases, it’s best to take help from a qualified lawyer, or else the cancellation could be considered invalid if not done according to the specifications. When a party breaches a contract or terms of a contract, the non-breaching party must file a lawsuit within the prescribed timeframe to enforce the contract, or else the Courts in Florida may not allow filing of the lawsuit. According to Florida laws, a lawsuit must be filed within 5 years of the date when a written contract was made, in order to enforce it. In case of verbal (oral) contracts, the timeframe is of 4 years. The above mentioned timeframe does not apply to each and every case, in some cases the timeframe for filing a breach of contract lawsuit can be as little as 1 year. 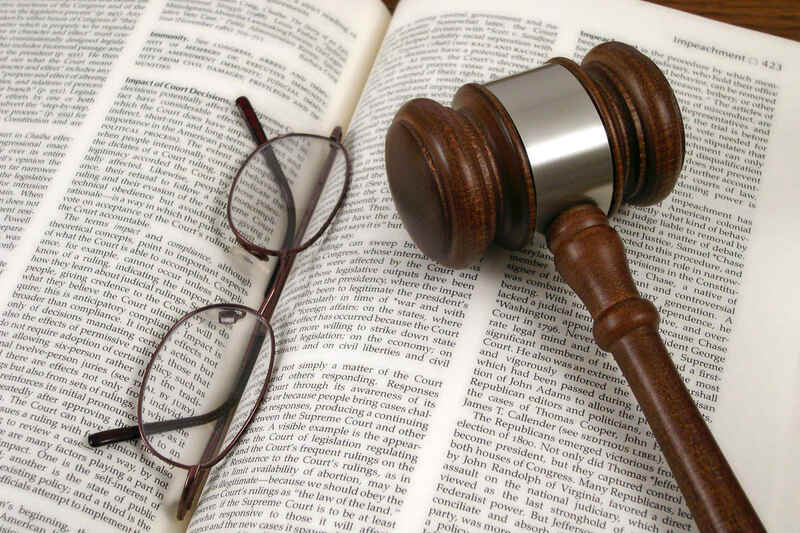 Arbitration is a procedure in which parties having a dispute over a contract, resolve it outside court and the decision is made by an ‘arbitrator’ instead of a Judge or Jury. The contracts which require a dispute to be solved through arbitration include an ‘arbitration clause’ specifically stating it. By signing a contract that has an arbitration clause, an individual basically gives up their right of resolving a dispute through a court of law. Even otherwise, arbitration in contractual disputes is generally more expensive than resolving a dispute by filing a lawsuit. One must be cautious and evaluate all options before signing a contract with an arbitration clause. Due to the significance of contracts and consequences one can face due to breaches, the Supreme Court of Florida bars non-lawyers from drafting most of the important contracts. To ensure that your rights are always protected it’s always beneficial to have a contract drafted by a skillful lawyer. Even when an individual is entering an already written contract, consulting a lawyer before signing it can ensure that one’s rights are protected, in case a dispute ever arises. If you have a question about contracts, contract law, or personal injury law: please contact Mark Perenich today. He has been practicing personal injury law for 30 years.